Starting a new business? Expanding to the US from overseas? No state income tax. In addition to all the Federal taxes, most states also charge a state income tax. For example, in California the average rate is an additional 9.3%. The impact? For every $100,000 of taxable income, an extra $9300 goes to the State. Zero state income tax also means less paperwork and lower cost of doing business. 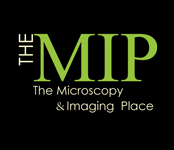 Not only can The MIP provide you with a US “headquarters” and mailing address, we can be your local US contact person, a legal requirement for filing tax and other required documents. Also, depending on the volume of business we can store a supply of literature and respond to requests for literature. Call us today at (972)924-5310. Let’s discuss how you can have an immediate footprint in the US market. Once you’ve had a “Foster” press release, it’s hard to go back to anything else.